The Mermaid Glass bracelets, by NOGU, glow in daylight, its like modern magic! You have to wear it to believe it! But its true! I love mine, I never take it off! We love the ocean! 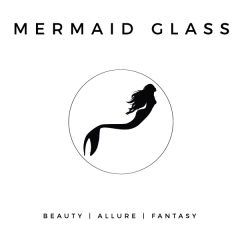 and NOGU has partnered with Take 3, an organization focused on ocean clean up and reducing plastic pollution, and will donate 5% of sales from the Mermaid Glass collection to help support their mission.